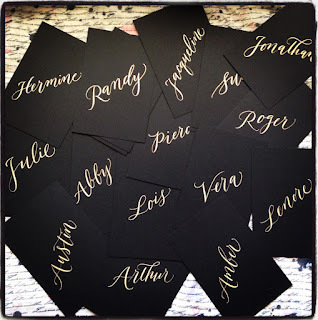 I hand lettered these oversized black cards in gold ink. 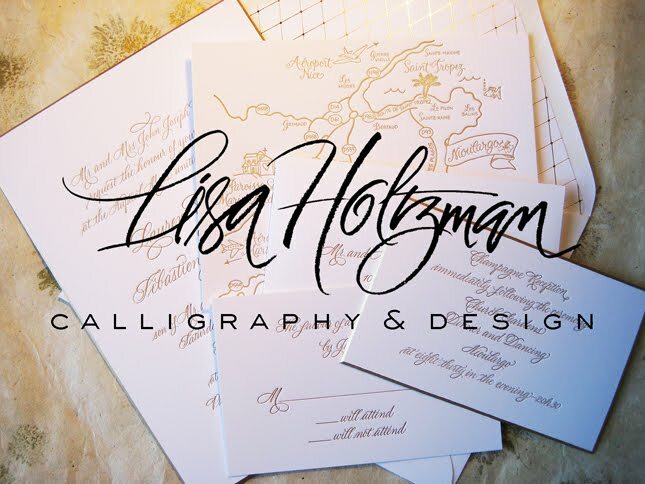 The style is a more modern take on pointed pen calligraphy. The cards should look nice tucked into napkins at each guest's place setting.